The right landscaping solution can make or break your front yard. Case in point, this transformation. The combination of plants and hard scape really helps to set the tone for your home, paving the way for how your visitors, guests and even you, will feel in this space. Before this renovation, the front yard was a blank canvas, in dire need of attention. The space was uneven and sparse, begging for a little personal flair. 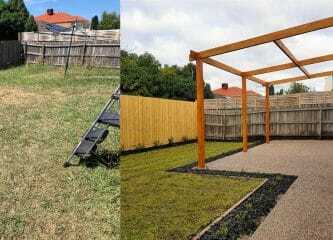 The unkempt, uneven dirt made this space the perfect candidate for a total front yard renovation. 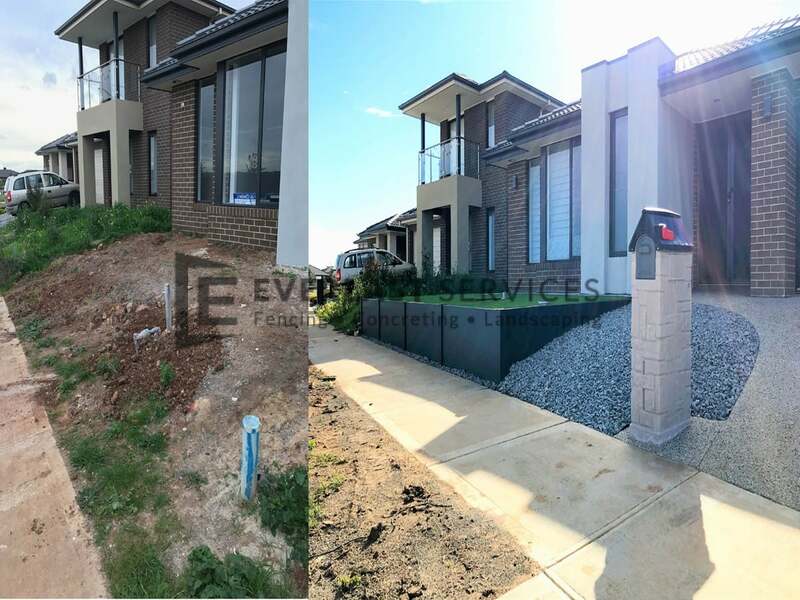 When brainstorming design ideas, the client knew they wanted to play with levels, introducing a concrete driveway and feature letterbox. 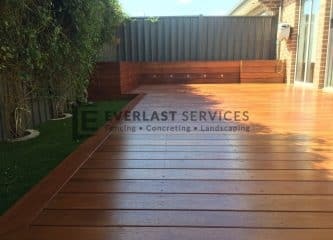 Known for our elegant style and complete professionalism, the Everlast team were the best to ensure the client retained creative control, while still being guided by our 20 years industry experience. The results of this front-yard overhaul injected the perfect combination of contemporary design elements, with traditional landscape design. Not only is the space more durable and practical than before, but it now makes for reduced maintenance costs and drastically enhances curb appeal. 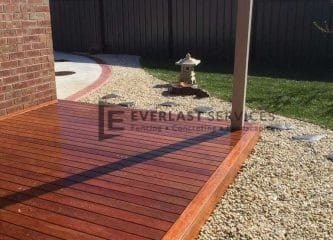 Both parties are completely thrilled with the results, and as always, Everlast put customer satisfaction first.